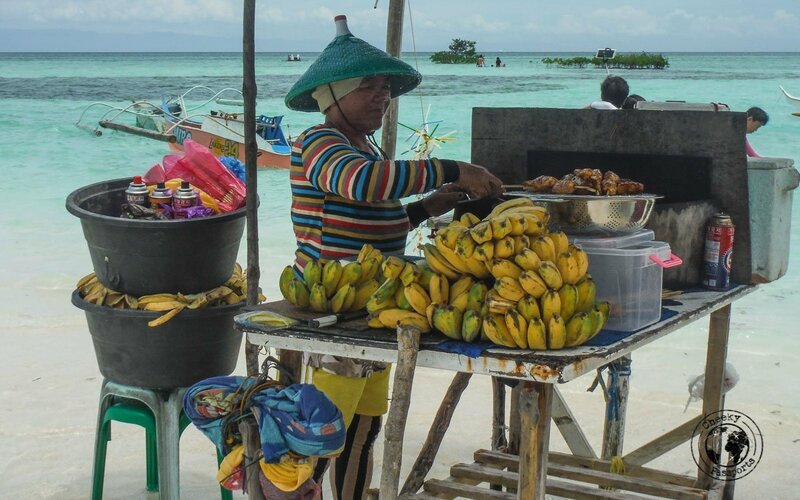 The Panglao island hopping tour is one of the most popular activities in the region. 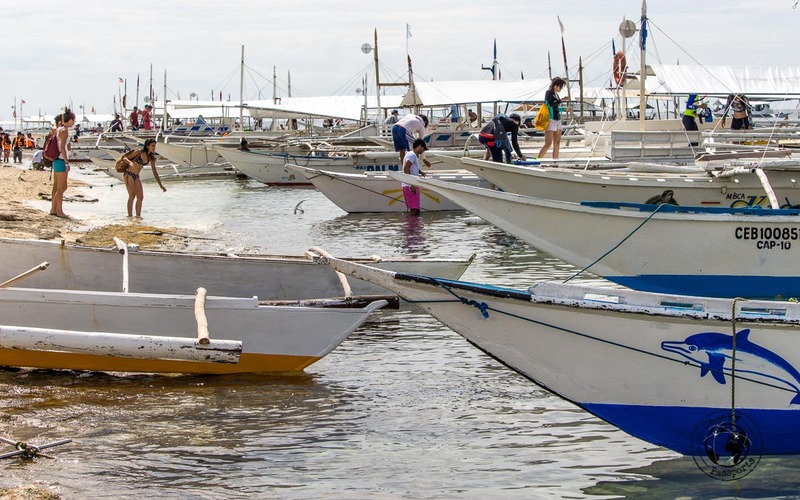 The tour, departing from Alona beach, is typically priced at 400 PHP (about € 6.50) which is relatively cheap when compared to other island hopping tours in El Nido and Coron. 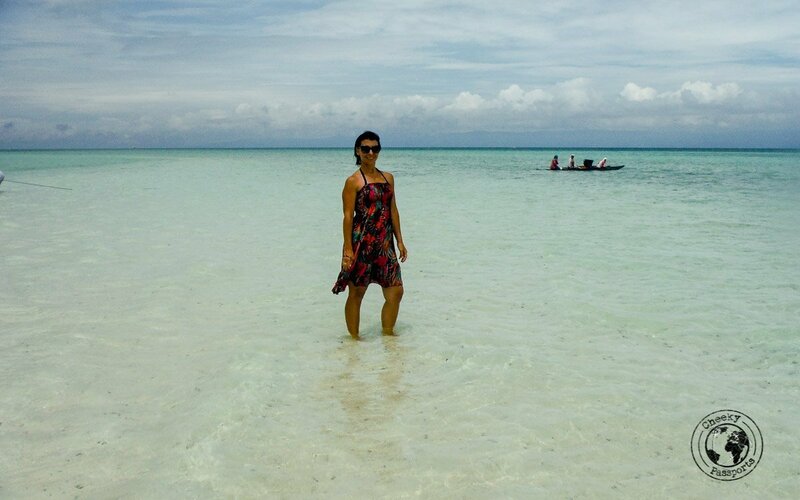 We figured that Panglao island hopping was cheaper due to the shorter distances and tour length. 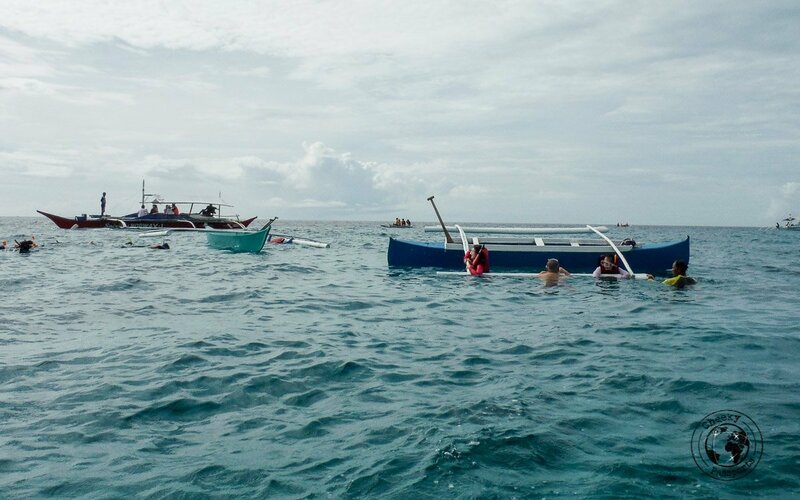 The trip combines dolphin watching, snorkeling in Balicasag island and a trip to the Virgin Island sand bar. 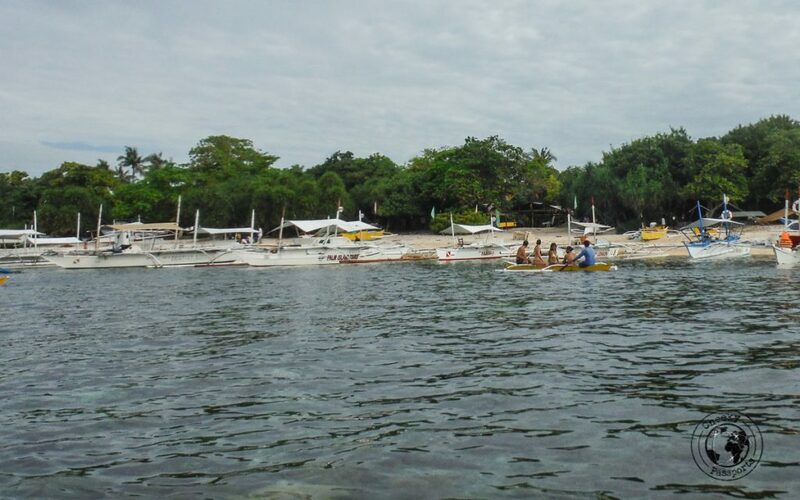 It actually sounded like a lot of fun initially, but the fun disappeared soon after we started our Panglao island hopping tour. 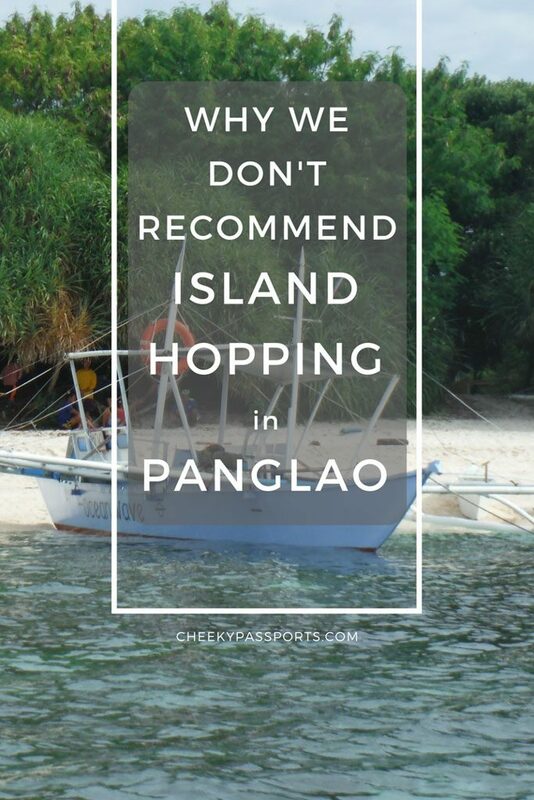 Here is why we don’t recommend the Panglao island Hopping Tour. Check the latest accommodation prices in Panglao on Booking.com. Having trouble booking internal flights in the Philippines? Try using Nusatrip! Worried about being hacked during your travels? Stay connected and secure with ExpressVPN. We always promote independent travel, without the need of an organised tour, but if you have difficulty planning your own trip, or you are short on time, we suggest that you take a look at the trips by Viator and G Adventures. We first caught a trike at 5.30am from our hostel to Alona beach where hundreds of people had converged, all of whom were waiting to be assigned to their respective boats for their Panglao island hopping tour. A mad rush for coffee, and we were told on which boat to go on. It was a lready starting to feel a bit like a circus. At which point our boat guy told us “you know you need to pay 450 PHP extra (about € 7) for the activities right”? No we did not! Because nobody bothered to tell us when we booked the tour in the first place! Turns out that the environmental fee for Balicasag island costs 100 PHP (about € 1.50) (which you are obliged to pay once you are on the tour of course), snorkeling at the marine sanctuary from the island costs 150 PHP (about € 2.50)and snorkeling to see turtles costs a further 200 PHP (about € 3) . Watching the dolphins from the boat however was free. Except that we didn’t see a single dolphin. Not one. We were told “they are not here today”. Maybe we were just unlucky but the whole setup was already starting make us feel very frustrated and the deafening noise of the two-stroke engine which we were seated right next to, was doing nothing to help our mood. Balicasag island is a mess of a place. As soon as we got off the boat our group was assigned to a table where we were ‘encouraged’ (several times) to buy breakfast. This was also where the money for the activities is collected. We decided on snorkeling in the turtle area since the marine sanctuary area, which could be seen from shore, seemed cluttered with little boats bumping into each other and swimmers with safety vests and fins hitting each other. Six of us were ushered into a little canoe meant for four. As we set off it started sinking slowly, so that we were actually made to ladle out water (with plastic bottles seemingly placed in the canoe for that purpose) throughout the whole trip. At one point the boatman told us that we had arrived at the turtle spot and this is where we should jump off to snorkel. 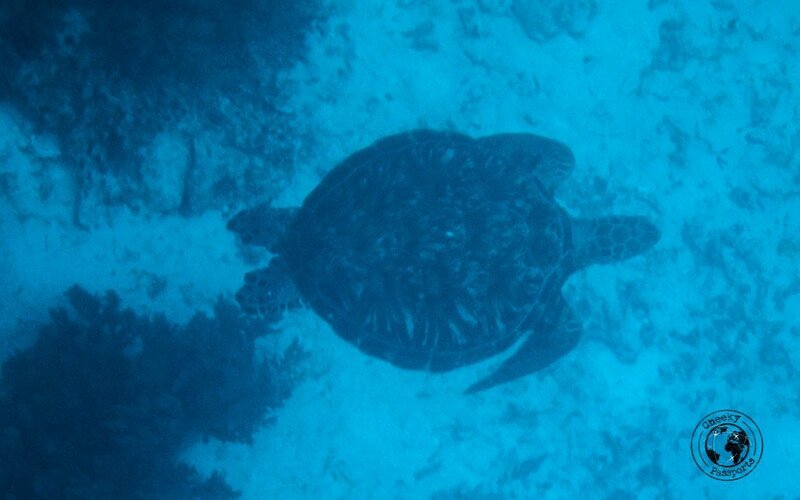 We did see some turtles but they were swimming deep (unless you’re into freediving, it was more like seeing shadows). The current wasn’t very friendly either, hence the experience was very disappointing. Apparently, we were “lucky”, some of the people on the other canoes had not spotted anything. The last spot on the Panglao island hopping tour is the Virgin Island Sand Bar and this is the only part of the trip that we enjoyed. In hindsight we should have negotiated a private trip to sandbar with a boatman and avoided the other tourist traps. The sandbar is full of little tents selling all kind of fresh seafood. There are even little kitchens set up and you can choose whatever type of fish you fancy and have it cooked with tomatoes, ginger and garlic whilst you paddle along the clearest blue waters. Despite not having great weather, the vibe here was very relaxing and because all the people seem to stay towards one end of the sand bar, if you move to the other side you get a lot of space to yourself. The trip back was uneventful except for the complaints of one guy who was asking for his money back since he felt that the Panglao island hopping tour was a complete waste of time and money. Perfectly justified we thought! Read more about the Philippines. Did You Like it? Pin it! Just a kind of disappointment…i am not againts the local…i love to help them in terms of tourisn, but…why they have kitchen set up in the virgin island, sore eyes…suppose to be it is a quiet place…VIRGIN ISLAND nga e.. Yes we were rather surprised to find the kitchen on the sandbank! is it better to go directly to virgin island? 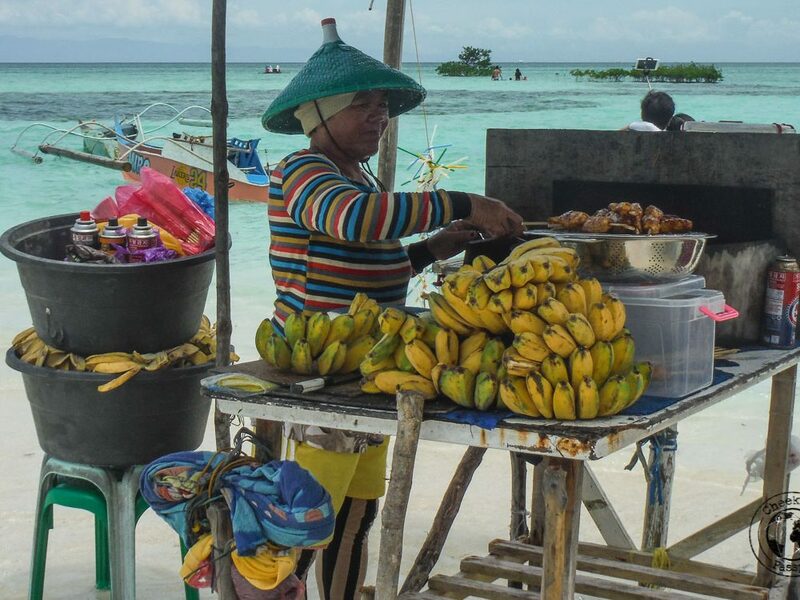 Hello 🙂 That’s what we would do if we had to got o Panglao again, we feel that the other parts of the tour were a waste of time, and apparently we weren’t the only people on the trip to think so!